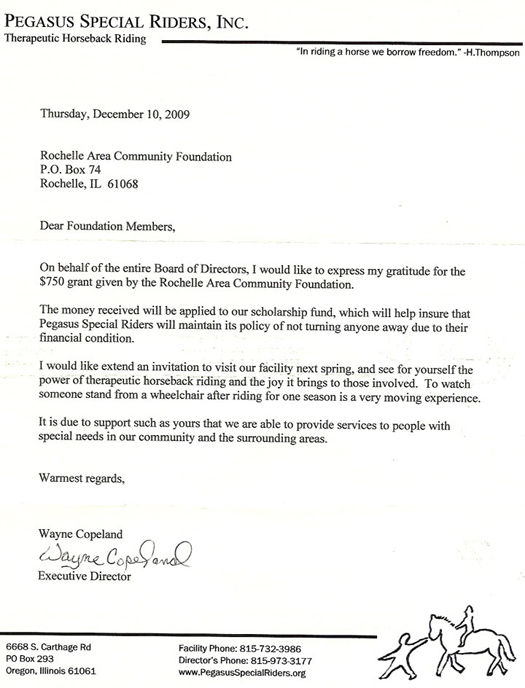 In 2005, the Rochelle Area Community Foundation was established with a generous gift from the late Leonard Carmichael who was a farmer, businessman, philanthropist and community leader. 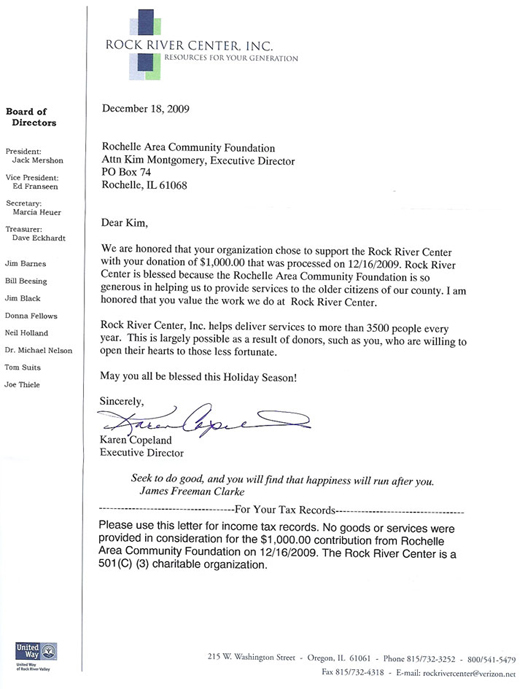 His vision was that more donors, large and small, would add to his contributions to make it a true community foundation. 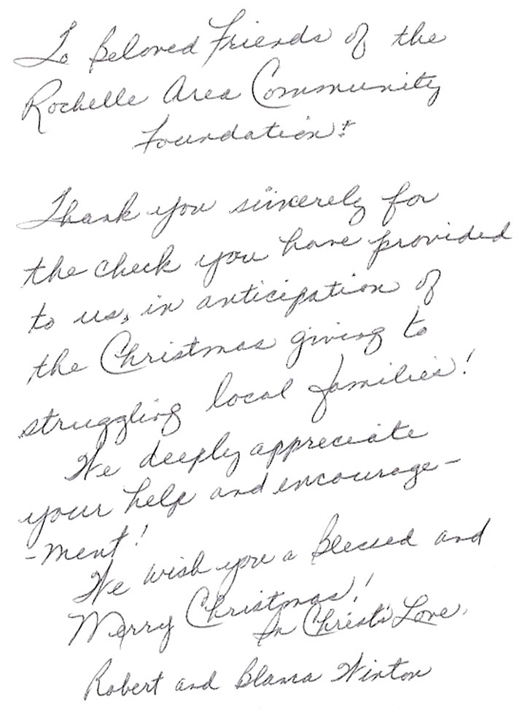 The Rochelle Area Community Foundation provides a simple way for members of the community to invest in the non-profit organizations that improve the lives of friends, neighbors and co-workers. 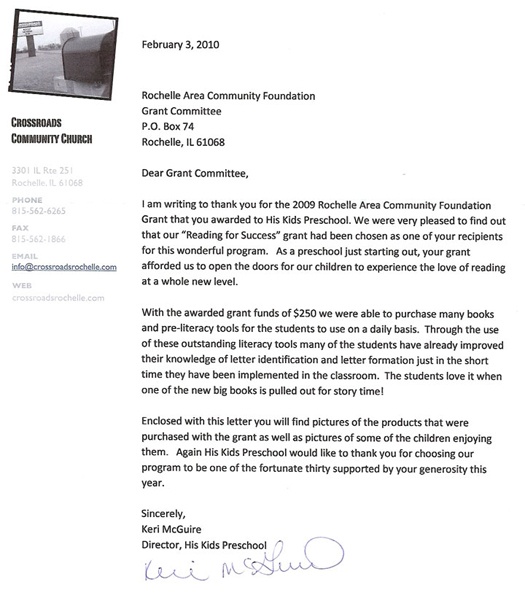 Charitable gifts entrusted to the Foundation are invested in endowment funds, the principle gift is preserved, and a portion of the earnings provide annual grants to local not for profit organizations. 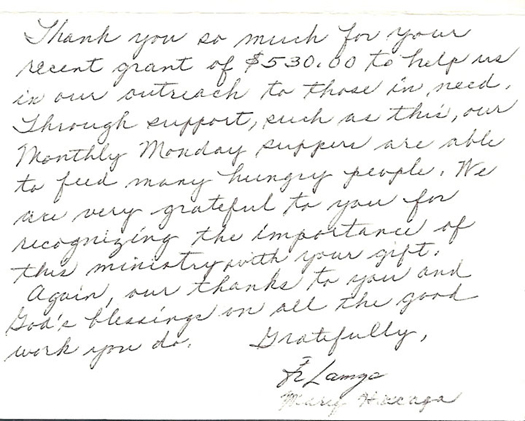 Grants are made in the areas of arts, education, community development, health and wellness, community services and hunger relief. 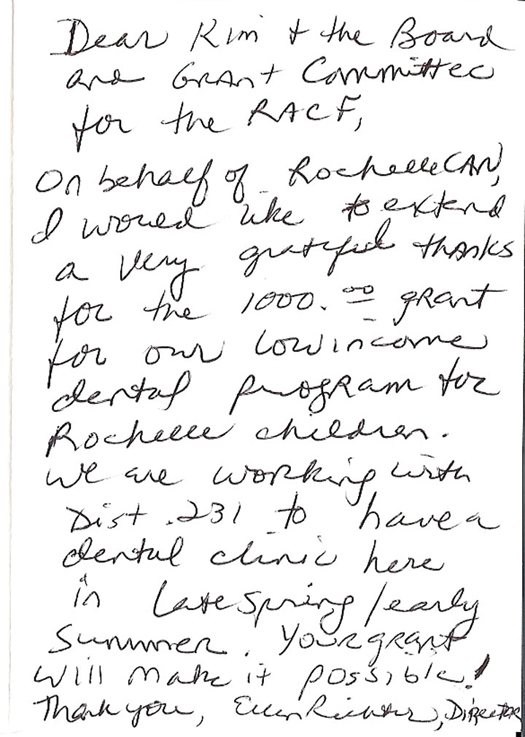 It’s our business to know the community and make the best use of charitable gifts through grant making. 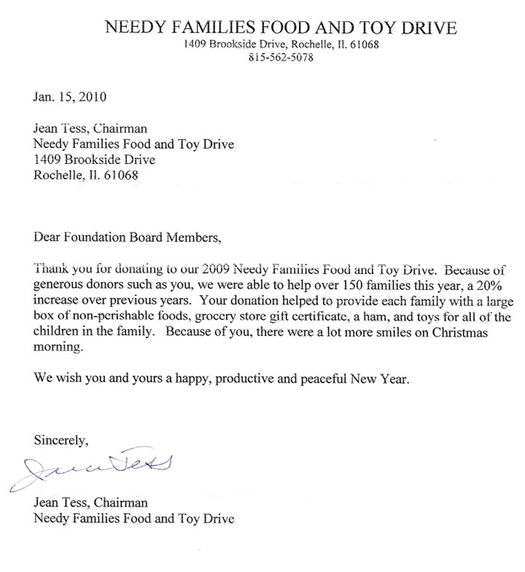 Contribute to an existing fund, or establish a fund to benefit a field of interest, non-profit organization, or recommend an annual grant to non-profit organizations you care most about. 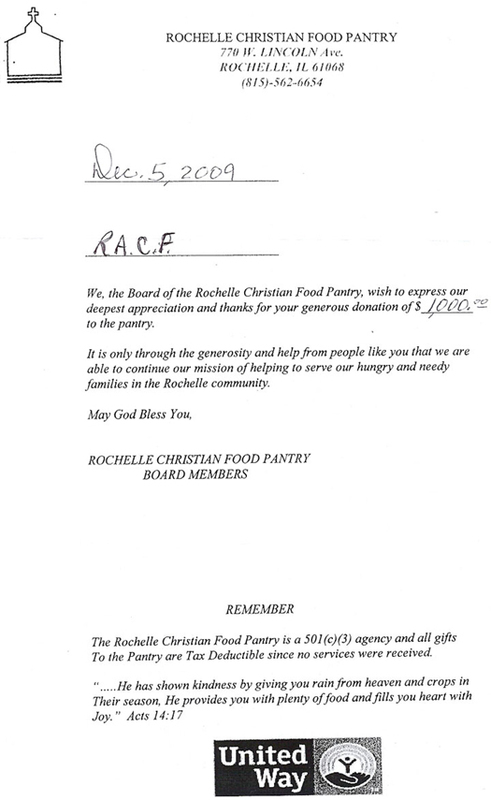 The Rochelle Area Community Foundation can accept charitable gifts in many forms. Appreciated Securities With gifts of stocks or bonds that have been held for some time, donors can avoid significant capital gains, and the net contribution is larger than the actual cost. 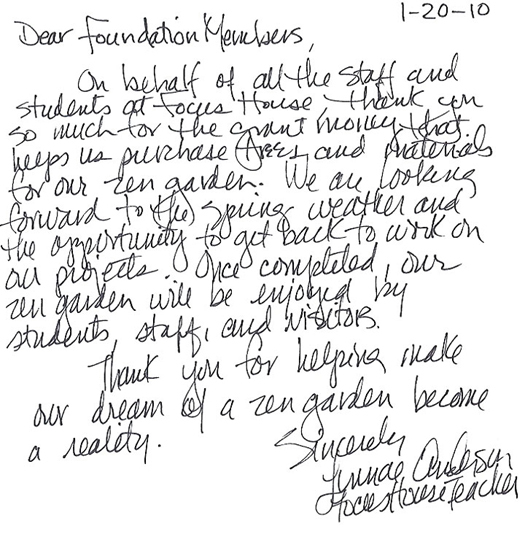 A real "win-win" for donor and Foundation alike. 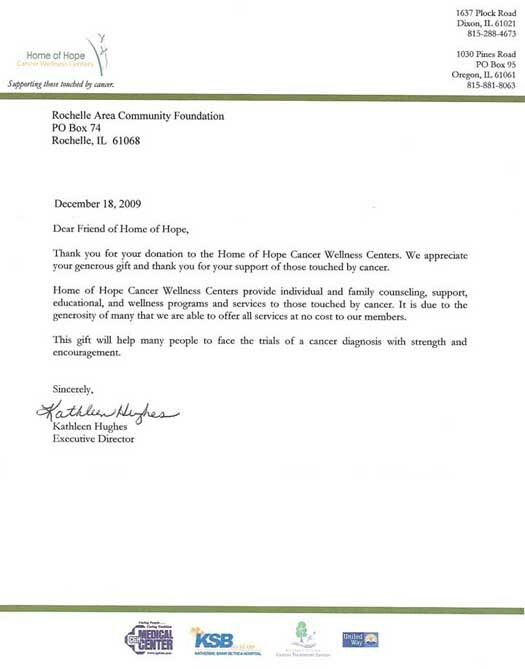 Life Insurance There are a number of ways a donor can use insurance. 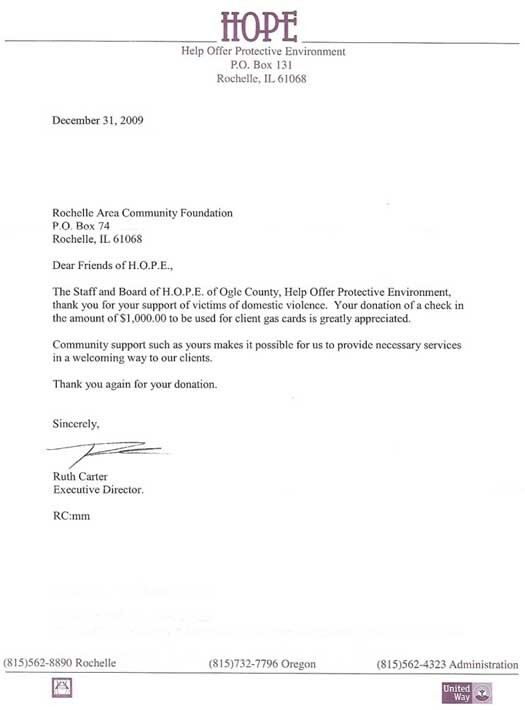 For example, a policy's value can be donated to the Foundation, or you may want to name the Foundation as beneficiary. Real Estate When a donor gives real estate or other tangible assets, she/he receives a tax deduction, and can name a specific fund for a specific purpose, after the Foundation sells the property. 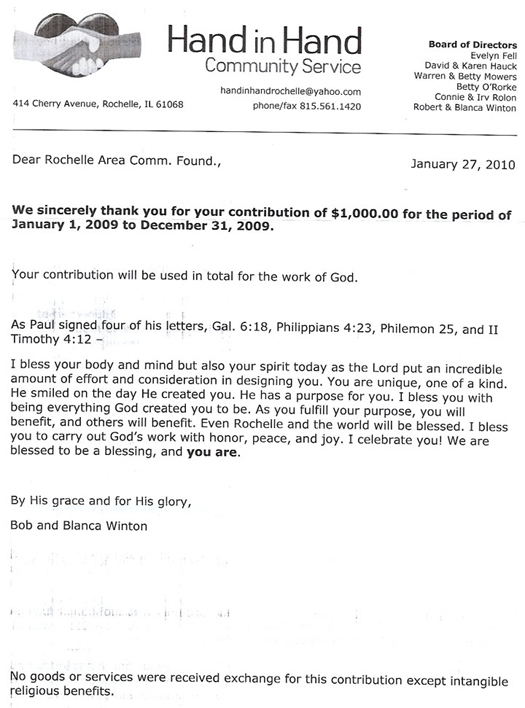 Estate Planning Donors may choose to make gifts in their wills. 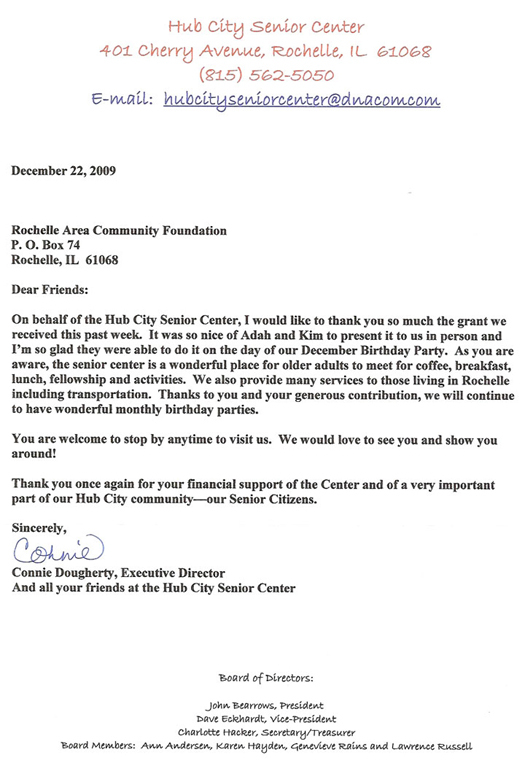 Again, flexibility is important to those making bequests. Talk with your financial planner, trust officer or attorney. 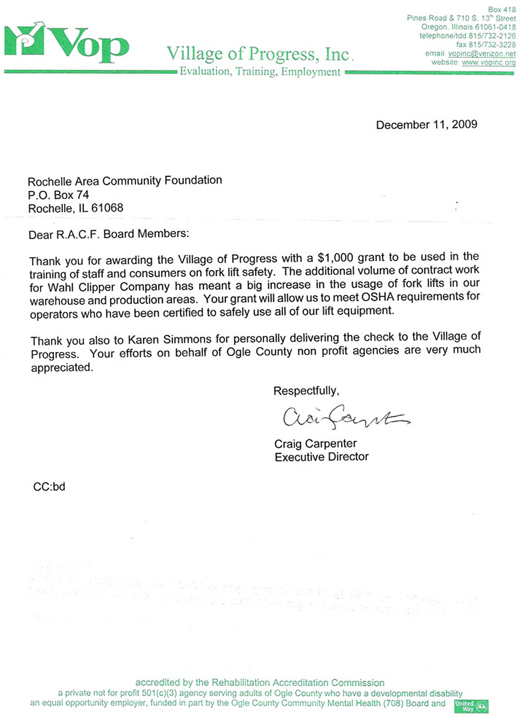 The Rochelle Area Community Foundation will be pleased to work with you in this regard. 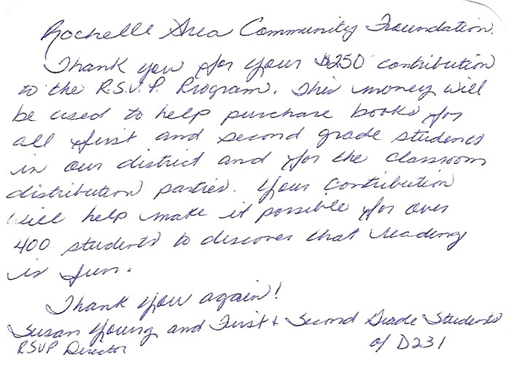 Click to read the thank you letters given from our many grant recipients.